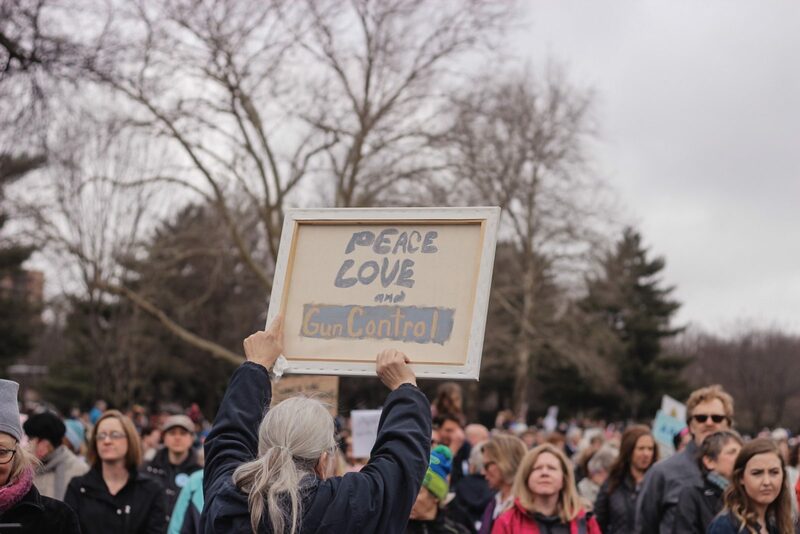 USRESIST NEWS Gun Control Briefs cover emerging gun control policies at the federal and state level, as well as efforts made by corporations, students and other third parties to address gun violence. As endorsements begin to roll out for candidates in the 2018 midterms, the gun advocacy PAC, Giffords: Courage to Fight Gun Violence, raised eyebrows for two of their endorsements. After Cody Wilson settled a lawsuit with the government which allowed him to post blueprints online of how to print 3D guns, other states have retaliated in response. A plethora of states have begun attempting to make these blueprints illegal to post, and one judge from Seattle delayed the posting of the plans until the end of August. With the overwhelming flow of information and accessibility on the internet, however, it will be difficult to monitor these blueprints from appearing online. Cody Wilson produced blueprints online that gave instructions on how to produce a gun using only a 3D printer. Shortly after the blueprints were posted, the State Department requested Wilson take them down. The Connecticut Supreme Court recently ruled 4-3 that the families of nine victims from the Sandy Hook shooting can sue Remington Arms for its marketing practices. The gun manufacturer has been accused of specific marketing of their assault rifles targeting the exact demographic of the Sandy Hook shooter (young men). In 2005, the Protection of Lawful Commerce in Arms Act (PLCAA) was passed to protect gun manufacturers from being sued by victims of gun violence. This ruling in favor of the victims from Sandy Hook may provide the opportunity to establish a new precedent in gun violence lawsuits by getting around the PLCAA. Previous to this ruling, gun manufacturers have fought hard to keep secret the way they market their AR-15s, which have gained national attention, as they are commonly used in some of the deadliest mass shootings. The families of Sandy Hook victims are suing Remington to further understand the goals and objectives of their marketing techniques. Some are comparing the secretive nature of gun manufacturers’ marketing to tobacco companies who were fully aware of the health risks of their product or to big pharma companies who knew the addictive nature of their products. While it may not be as obvious as the tobacco companies who had hundreds of health documents outlining the risks of smoking, the families of the Sandy Hook victims believe Remington is fully cognizant of who they are marketing their assault rifles to and the dangers that possesses. March For Our Lives – an organization started after the Parkland school shooting which aims to unify advocates for gun control around relevant issues. You can also find more information about the Road to Change tour on their website. Consider donating or canvassing during the midterm elections on these issues with this organization. Everytown – A movement of Americans working to end gun violence and build safer communities. While the Trump Administration has typically echoed the NRA’s platforms, the acting Attorney General, Matthew Whitaker, signed a regulation on December 18th that banned bump stocks, a device that has the capability to turn semiautomatics into machine guns. The idea was first proposed by President Trump after the Parkland school shooting last February. Although President Trump first proposed the ban of bump stocks after the Parkland shooting last year, the debate over the legality of these devices took center stage in October of 2017 after the Las Vegas shooting occurred. Bump stocks aided the shooter by turning his gun into an automatic weapon which resulted in the deadliest shooting in United States’ history. The regulation is expected to go into effect 90 days after it is published in the National Regiser and requires anyone owning a bump stock to turn it into an Alcohol, Tobacco, and Firearms office or destroy it. Owners have 90 days to turn in or destroy their devices and instructions will be posted on how to properly destroy the devices. The ban may come as a surprise to some, as President Trump has been a strong supporter of both the Second Amendment and the NRA. Republican lawmakers, many of who receive campaign funds from the NRA, are outwardly opposed to any type of gun regulation. Trump’s action to ban bump stocks was not only progress towards sensible gun laws, but was also a symbolic step towards common sense gun control. Vote.gov – A resource to utilize if you need to register, are unfamiliar with voter ID requirements, or election processes so you can be ready by November. A Saturday turned from a morning of worship and celebration to one of tragedy and grief as a gunman opened fire with an assault rifle and at least three hand guns in the Pittsburg synagogue Tree of Life. Police say this act of terror is classified as a hate crime that resulted in 11 deaths. Two more tragedies – at a local bar in Thousand Oaks, California and at a yoga studio in Tallahassee, Florida – claimed the lives of innocent victims, one of whom was a survivor of the Las Vegas Shooting. These gun violence incidents are beginning to mount, and may have been avoided if proper, basic gun legislation would have been in place. In the Tree of Life Shooting, the perpetrator, 46 year old Robert Bowers, opened fire at the synagogue on Saturday morning, October 27, fatally shooting 11. When apprehended, he allegedly told police that his intentions were to kill Jews and had been targeting Jews on social media. This is the largest attack on the Jewish community in the United States’ history. President Trump visited Pittsburg, with his first stop being at the Tree of Life synagogue where he and the families lit candles. In a statement, President Trump blamed the media’s divisiveness and called for armed security at the synagogue in the future rather than calling for tighter gun legislation. As is repeated after every deadly act of gun violence, the continued ability of the government to do nothing is baffling. Since the synagogue shooting in Pittsburg, a gunman opened fired on a yoga studio in Tallahassee, Florida that resulted in 2 dead and 5 injured before he turned the gun on himself. Aside from this, on Wednesday in Thousand Oaks, California a man killed 12 at the Borderline Bar and Grill. Among those who were killed was Telemachus Orfanos, who had previously survived the Las Vegas shooting in 2017. Imagine living in a country where you can survive a tragedy caused by gun violence and die in another one year later. Imagine living in a country where you can’t feel relieved by surviving an act of terror, because another may take your life at any moment. Imagine living in a country where the people who have the power to stop these tragedies from happening extend thoughts and prayers, but no action. Continued inaction by both President Trump and Congress has done nothing to alleviate the devastation from gun violence. The solutions proposed by pro-gun legislators has proven time and time again to have no impact. As one of the only developed countries in the world that has continued gun violence, the answer cannot continue to be inaction. While 27 NRA backed candidates lost their races in the midterm elections, there is still more that needs to be done to ensure safety of the citizens in America. According to Mother Jones, gun control advocates are now the majority in Congress. On Wednesday, a five point plan for the next Congress was unveiled, including universal background checks proposed by Everytown. The aforementioned tragedies and newfound hope in Congress will hopefully be enough to reverse the devastatingly rapid growth in gun violence. 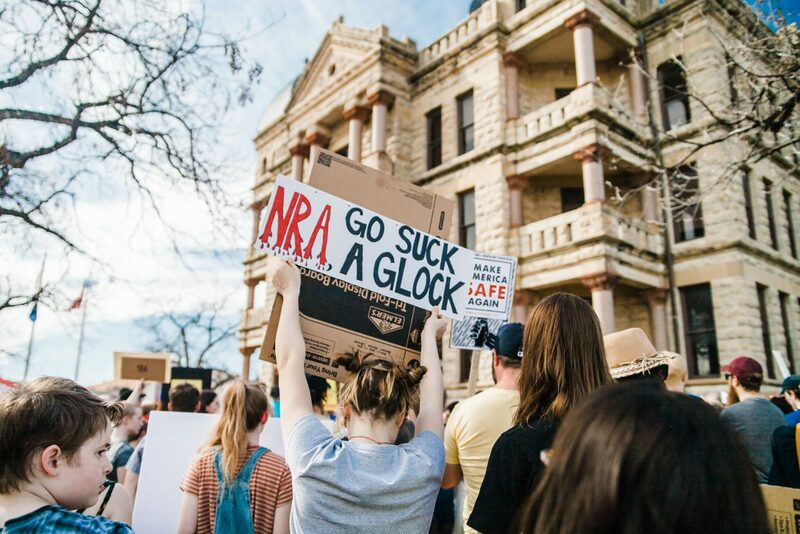 March For Our Lives – an organization started after the Parkland school shooting which aims to unify advocates for gun control around relevant issues. You can also find more information about the Road to Change tour on their website. 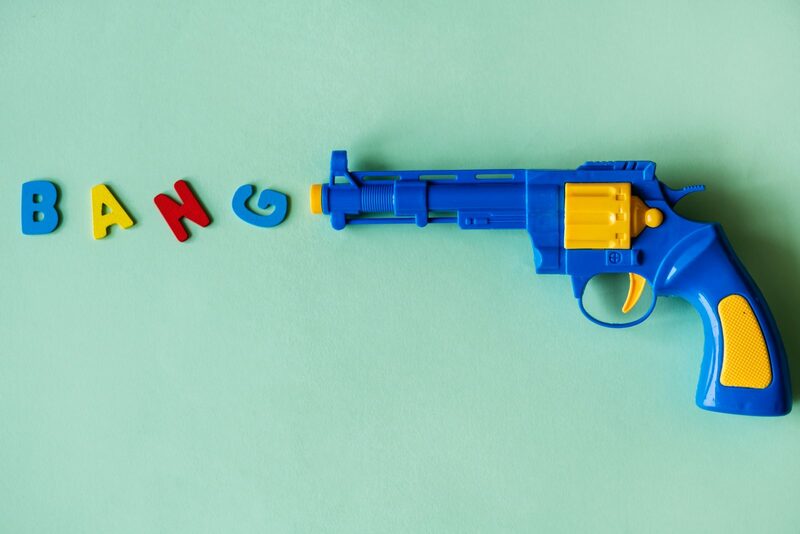 While virtually all focus in the gun control debate revolves around the use, distribution, and availability of guns, California is now taking an unconventional approach to reduce gun violence. Instead of focusing on guns and their accessories, gun control advocates are looking to more closely regulate ammunition in hopes of chipping away at the growing gun epidemic in the United States. 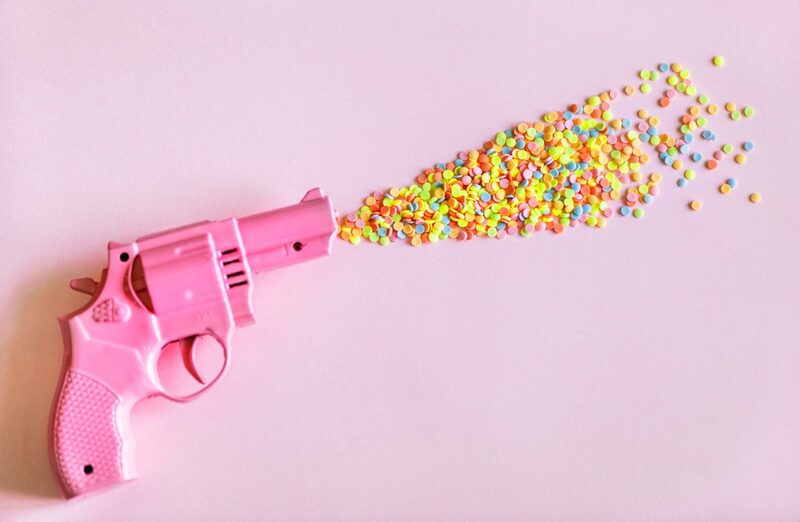 Although guns are the central narrative in the conversation to control gun violence, ammunition is widely available and faces virtually no regulation. Gun control advocates argue that without ammunition, guns are harmless. In some states, they can even be sold in vending machines, at pharmacies, and in jewelry stores, according to The New York Times. This lack of regulation is part of the problem and gives gun owners free range once a gun is obtained. Technically, federal law prohibits individuals who are banned from buying guns also from buying ammunition, but there are no efficient systems in place to uphold the regulations. Controlling access to ammunition is not a new idea, but one that has not been heavily enforced, giving lawmakers a chance to tighten regulation in hopes of reducing gun violence. 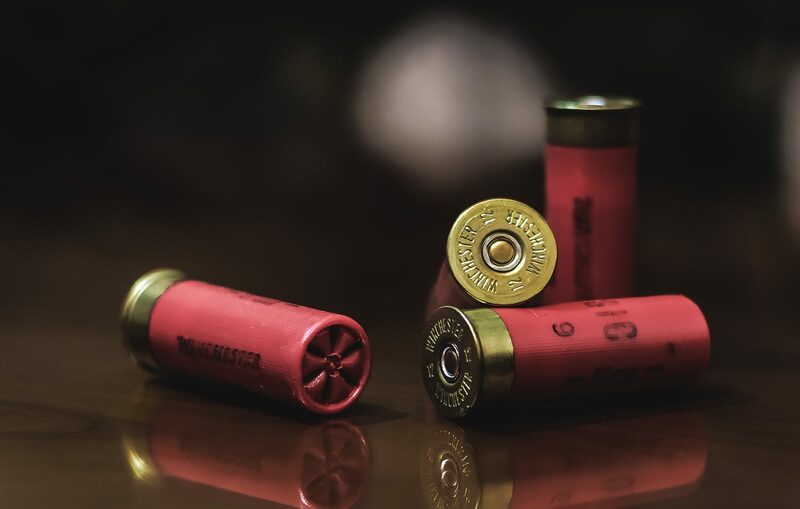 California is trying to change these lax practices by exploring the prohibition of online sales that allow unlicensed dealers to ship bullets directly to the buyer and instead requiring that all ammunition be shipped by licensed gun dealers. In addition, starting next July, California will require all ammunition sales to include purchaser point-of-purchase background checks. Politicians in California hope that the tightened regulations on obtaining bullets will make guns less harmful and keep ammunition out of the hands of those who shouldn’t have access to a firearm. Critics of the policies say that these new regulations will make it more difficult and expensive for hunters, shooters, and lawful gun owners to obtain bullets. However, no set penalty laws have been put in place, so burdens on these individuals are still hypothetical. As endorsements begin to roll out for candidates in the 2018 midterms, the gun advocacy PAC, Giffords: Courage to Fight Gun Violence, raised eyebrows for two of their endorsements. Specifically, their endorsements of Republican Representatives Leonard Lance and Chris Smith in New Jersey came as a surprise to many as Lance’s reelection is now being contended by Democrats, who haven’t held the seat since 1978. The endorsement highlights Lance’s ideological shift and willingness to work across the aisle. The PAC was founded by Gabby Giffords after she was left wounded by gun violence in 2011 meeting with her constituents. Since 2013, Giffords has been able to enact more than 200 new pieces of gun legislation in 45 states and Washington, D.C. Their main mission is to promote bipartisan solutions to the gun epidemic in America. Here you can find the full list of candidates Giffords endorses. Their political goal to work towards a bipartisan solution has caused some surprise in New Jersey as Republican incumbent Rep. Lance has been endorsed by Giffords in a race that many are calling a tossup. This endorsement may be enough to give Lance a slight edge over the democratic candidate, Tom Malinowski come November. Looking at Lance’s record, he has deviated from his party by working on 6 different bills for the advancement of gun control, including banning bump stocks and voting ‘no’ on the Concealed Carry Reciprocity Act which would allow concealed carry in any state. In 2012 Rep. Lance campaigned on his high approval rating by the NRA, showing his evolution on common sense gun control in just six years. Although there is still work to be done to reach bipartisan solutions to America’s ever-growing gun violence epidemic, Giffords works to endorse candidates on both sides of the aisle which in turn can encourage more efficient gun legislation and less inaction by Congress. In the ongoing debate and legal battle between free speech and gun safety, a US District Judge in Seattle, Robert Lasnik, has halted the plans for 3D printed guns to be posted until August 28th. This ensued after 8 states and the District of Columbia filed to block the settlement with Cody Wilson who had received $40,000 and free disbursement of the 3D printed gun blueprints. Now, 19 states and the District of Columbia are pushing to make the sharing of these blueprints illegal altogether. On August 21st Judge Lasnik scheduled a hearing for the states who are looking to reverse the U.S. State Department’s ruling. President Trump weighed in on Twitter on Tuesday saying, “I am looking into 3-D Plastic Guns being sold to the public. Already spoke to NRA, doesn’t seem to make much sense!”. These comments come as no surprise given the current administration’s stance on guns – Wilson was initially sued by the State Department in 2013 under the Obama administration and only after Trump’s pro-gun administration took office did the Justice Department decide to settle with Wilson. Even if the temporary court order becomes permanent, ensuring the blueprints are not posted or distributed on the internet will be extremely difficult to monitor. Before Wilson’s blueprints were asked to be removed, they were downloaded countless times and will be easy to disburse once more. Cody Wilson produced blueprints online that gave instructions on how to produce a gun using only a 3D printer. Shortly after the blueprints were posted, the State Department requested Wilson take them down. This prompted a lawsuit by Wilson in which he claimed the demand for the removal of the blueprints was an infringement on free speech. The case was settled by the administration on June 29th which included free disbursement of the instructions and awarded Wilson $40,000 for legal fees. In the age of rapidly advancing technology, the Trump administration’s recent settlement foreshadows a lack of modernization to policies that have been in effect since Reagan that could be disastrous for the future of gun control. The increasing commonality of 3D printers provides the opportunity for anyone who owns one to produce their own gun comprised of plastic. Not only does this give potential to almost unlimited access to firearms, it also presents a security problem as they can be virtually undetectable in X-rays and metal detectors. This ruling in the Wilson case seems to be undermining The Undetectable Firearms Act of 1988 which aimed to eliminate firearms with certain features that cause them to be undetectable by restricting their production, possession, and transportation. While the bill has been renewed until 2023, NRA lobbyists blocked more technologically advanced provisions to be added. The ruling in the Wilson case indicates the Trump administration will do very little to update the bill to modern technological threats such as requiring metal components in 3D printed guns or restrict the printing of guns at all. By ruling in favor of Wilson, the administration signaled its allegiance with gun ownership, rather than a commitment to prohibiting the possible mass distribution of downloadable guns. Wilson said he will release the blueprints available to download to produce guns, including the AR-15, August 1st. With little to no regulation, this era of ever-evolving technologies proves to be a new threat to public safety. Thursday marked yet another tragedy attributed to premeditated gun violence. This time, it occurred in the offices of the Capital Gazette in Annapolis, Maryland. Jarrod Ramos, the suspect, entered the news room with a legally purchased shotgun. He fatally wounded five and injured others. He had previously been charged with stalking and harassing a woman which included sending death threats. Ramos had a muddled and long history with the newspaper – sending angry messages and threats over social media as well as filing a defamation case against the paper in 2012 after an article was written about him for harassing a woman. He has been charged with five counts of first-degree murder, according to CNN. In yet another act of senseless violence, innocent lives were taken at the hands of an individual who should not have been given access to a firearm. The suspect had a criminal record of stalking and harassing as well as sending threats to the newspaper via social media for years. Republican lawmakers often push blame to mental health issues after tragedies such as these occur. Why then, in an event like this with clear indications of mental instability, are Republican lawmakers only sending ‘thoughts and prayers’? Why is there inaction on providing improved mental health resources, or upgrading systems that prevent dangerous individuals from having access to guns? While hypocrisy and inaction on the behalf of lawmakers can cause frustration, this isn’t a helpless moment. It is important instead to use this as an opportunity to coalesce into affecting change. Midterms are four months away. Don’t get mad, vote. Four months after the Parkland shooting and three after the March For Our Lives, the students of Marjory Stoneman Douglas High School are continuing their advocacy efforts by launching a summer-long nationwide tour aimed at mobilizing and registering young voters while simultaneously generating and sustaining awareness around gun violence. The tour, known as Road to Change, will include 75 stops, according to CNN, in areas that have been affected by gun violence as well as in culturally pro-gun areas to ‘call out’ candidates who accept donations from the NRA. The tour also stops in every one of Florida’s 27 Congressional districts. The tour endorses no candidates, but instead is meant as a way to excite and involve young voters as the midterm elections approach. 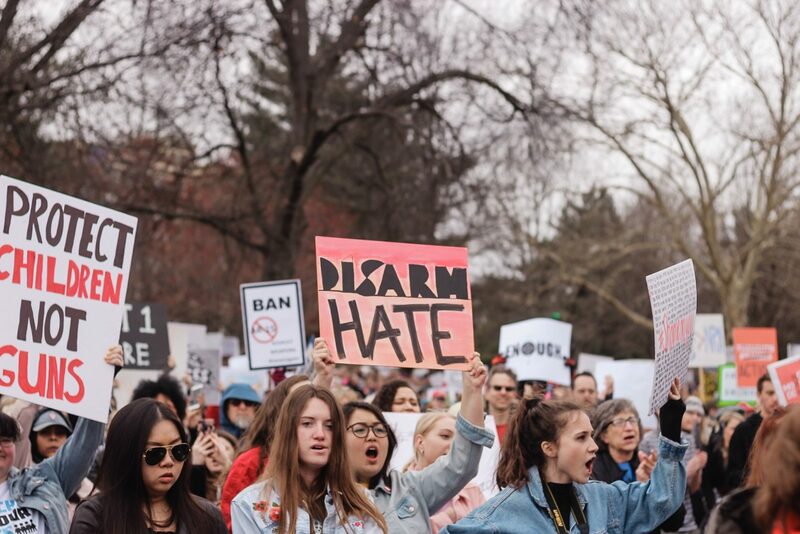 As primaries approach and midterms ensue, mobilization and registration of young voters is the pinnacle of importance for candidates looking for support of the younger generation – particularly as it relates to gun control. 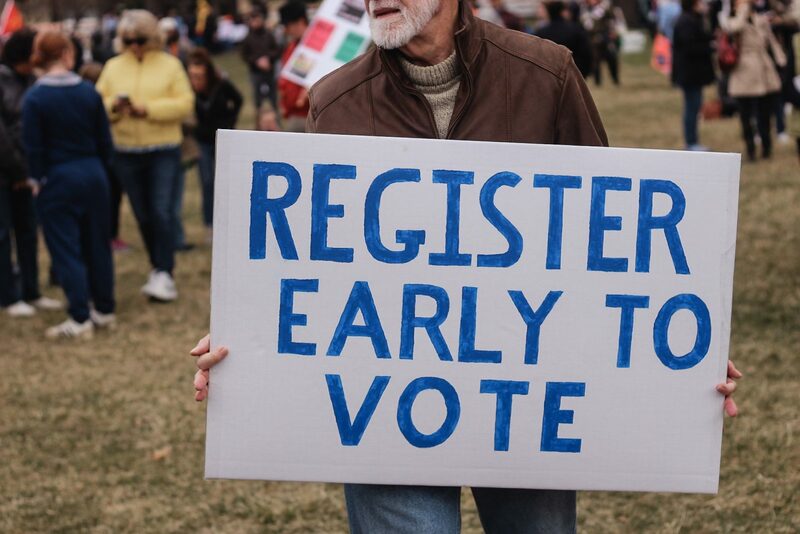 Historically, midterm election turnout is low, and even lower for young voters, typically disadvantageous to Democratic candidates (many of whom are pro-gun control). The Road to Change tour will continue the conversation of supporting sensible gun legislation while also encouraging young voters to politically engage in upcoming elections. This tour gives the Parkland students a chance to extend the gun violence conversation through the summer. Although frequently in the past gun control discussions fade quickly after mass shootings, the students of Marjory Stoneman Douglas have been able to continue to breathe life into the conversation long after tragedy. 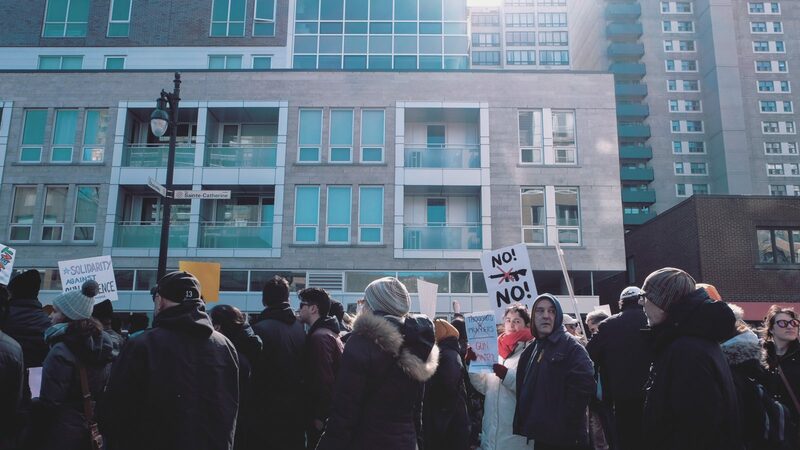 First with March For Our Lives, and now with the national tour, the students are continuing to mobilize and energize the next generation in a way that has previously failed. By simultaneously calling out pro-gun candidates and touring districts with strong ties to the Second Amendment, the Road to Change tour will aim to keep their electrifying momentum and encourage young voters to show up to the polls in November.